Welcome to a happy and harmonious site dedicated to all things yarn related. 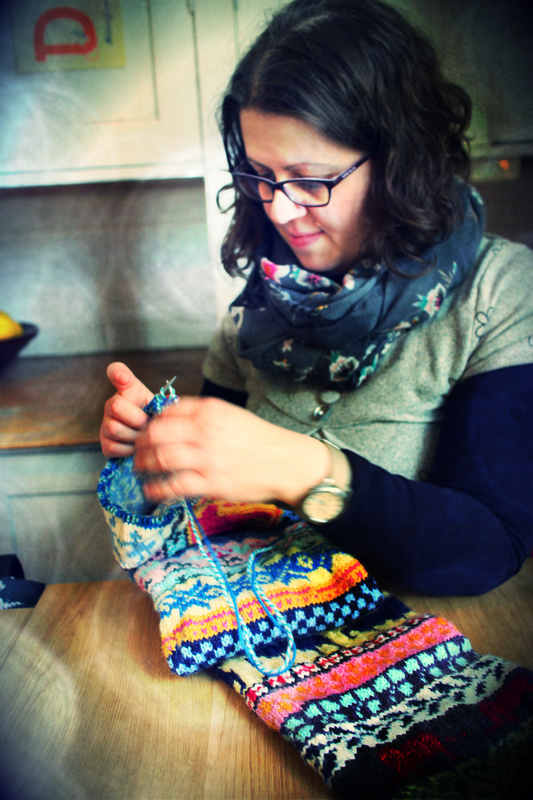 I create my own designs in both knitting and crochet and often improvise as I go along. I learned to knit at a young age, but only now has my crafty side really flourished. In fact, my move from the UK to Sweden in August 2010 was a huge catalyst for creativity. Until recently, I was lucky enough to spend my days playing beautiful folk music surrounded by the idyllic scenery of northern Sweden. In between my studies, practising and performing, I picked up my knitting needles (or crochet hook) and discovered that my agile clarinettist fingers were well suited to composition in yarn as much as in music. Hello from rainy Sweden. Your nomination has brightened up my grey afternoon! 😉 Thanks very much! I will keep following your blog with interest. Hej, Christina, thank you for visiting my blog and bringing your blog to my attention! It is beautiful. At the moment I am in the middle of a move but I will follow you. I have travelled in Sweden a few years ago and liked it very much and …I love Swedish food! In a couple of weeks I hope to have more time and I will have a longer and better look at your beautiful blog. Hej Johanna! Thanks for your kind comment and welcome to my new blog. I have only been going a week or so and it seems there is much to learn and plenty of very nice people along the way to give encouragement. 🙂 Good luck with the move and see you again soon!